Very often the words we read in English do not resemble the Hebrew word that it is based off of. Without knowing the meaning of many key words, we cannot understand what God is saying to His People. 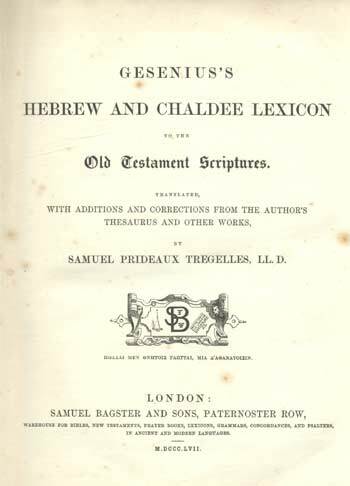 For Hebrew words we use Gesenius’s Hebrew and Chaldee Lexicon. This work is open source, and pages can be inserted into this website so the student of Jesus can get a complete idea of what Yahweh says. For Greek words we use Strong’s and Thayer’s. These are copyrighted texts and therefore we are not allowed to post the page into TheElect website.